Shaving soaps come in many different scents and are suitable for most wet shaving enthusiasts. However, sandalwood shaving soaps seem to be the favorite ones of those who enjoy that old time barbershop experience. 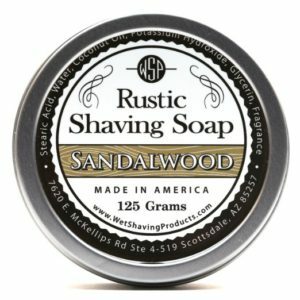 So, if you are looking for the best sandalwood shaving soap to enhance your morning shave, here is a look at some of the most popular soaps that are currently available. Taylor of Old Bond Street began when old fashioned English barbershops were still going strong, and today this company remains one of the premier shaving companies in the world. 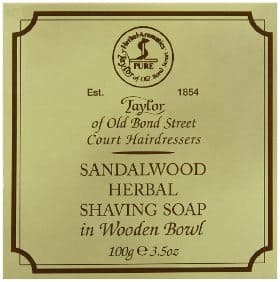 It is not surprising that their Taylor of Old Bond Street Shaving Soap is extremely popular among those looking for an old fashioned barbershop shaving experience. This soap comes in a 3.5 wooden bowl which can be used as a shaving mug. Customer reviews are very good with users saying that the bowl this product comes in is beautiful and handy, but somewhat shallow for some users to work up a good lather. The lather itself is smooth as well as creamy and has a classic but not overpowering scent. Users feel that the lather is perfect for giving them a smooth close shave and that it lasts for a long time, making this soap an excellent value. However, a handful of users stated that this soap has a drying effect on the skin so you may want to follow your shave with a good moisturizer. Founded in Italy in 1930, Proraso creates products designed for men who are looking for the feeling of those luxurious old fashioned barbershop shaves. This company makes different lines of shaving products for men with sensitive, normal or dry skin. 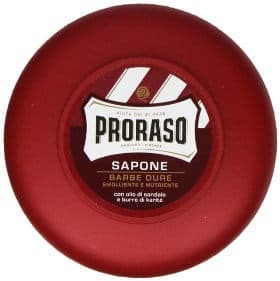 The Proraso New Shaving Soap Sandalwood comes in a pot that can double as your shaving bowl, making this product a good shave soap for traveling. What you get is 5.2 ounces of soap in the pot, and most users feel that this shave soap is a lot more creamy than most other shaving soaps on today’s market. Users like its sandalwood scent although a few noted that the scent is not like most other sandalwood shave products. This scent is not overwhelming and fades fairly quickly (within a couple of hours) after you shave. People feel that it creates a nice lather and provides great lubrication for your skin. They also like that it is paraben free and leaves their face feeling smooth and healthy. The WSP Artisan Sandalwood Shave Soap comes in a 4.4 ounce tin and is made in the USA. It contains glycerine (see our glycerine shave soap reviews for scents other than sandalwood) and no artificial dyes or preservatives. It is actually quite popular among those who enjoy using artisan products and it gets very good reviews. Users like its sandalwood scent and find it is not overwhelming like some scented shave soaps. They say it lathers extremely well and provides a good cushion protecting the face from irritation, nicks and cuts. The tin can also double as a bowl although many people prefer to move the soap to a regular shaving mug or bowl. They also remark that the soap is a good value and long lasting. Located in Sheffield, England, Edwin Jagger is relatively new to the shaving product scene as this company was founded in 1998. However, it has quickly become a recognizable name in wet shaving circles and is known for it’s high quality products. 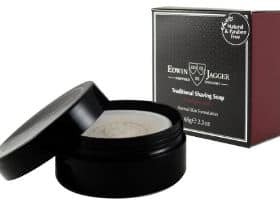 The Edwin Jagger Natural Shaving Soap is a sandalwood 2.3 ounce shave soap that comes in a handy travel tube and is made from natural plant ingredients. It is paraben free and known to soften and lift the beard. Users find that it is very good for men with normal to dry skin and state that it creates a nice lather. The tub makes it suitable and handy for traveling. Some people also said that they mix it with other brands of shave soaps to create their own unique scent as well as increase the value of this soap. This Sandalwood & Shea Butter Shaving Soap Twin Pack is ideal for traveling as the smaller 1.76 ounce containers are easy to pack. The shave soap itself contains several skin and beard softening ingredients including olive oil, aloe vera, cocoa butter, almond oil and others. 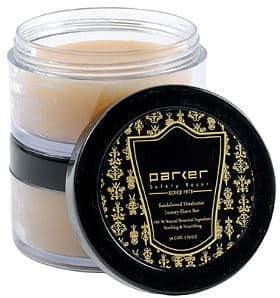 Overall, users really like this product stating that it is reasonably priced and creates a creamy smooth lather although there was a handful of users who mentioned that they would like it to lather up a bit more. People also noticed that when using this product, their razor glides easily across their skin, making it look and feel better especially when they use the soap regularly. Several of them added that the scent was pleasant, not over powering and it fades away quickly. In conclusion, if you are looking for the best sandalwood shaving soap to enhance your shaving routine, then the above options will surely give you an idea of the most popular products.